What should marketers expect from search in the future? First came mobile search. Then voice search. Machine learning. AI. There’s little doubt that we’re witnessing a revolution in search trends and technology but, as marketers what should we expect the impact of all of this to be? What opportunities will search provide in the future? David Towers, Digital Partner, Head of Search, Global Solutions & EMEA, MEC for Google has been mulling those very questions. He’s rounded up his take on search in the future and what us marketers should be thinking about right now. Last year’s Mary Meeker Internet Trends Report predicted voice search would be the next big thing. 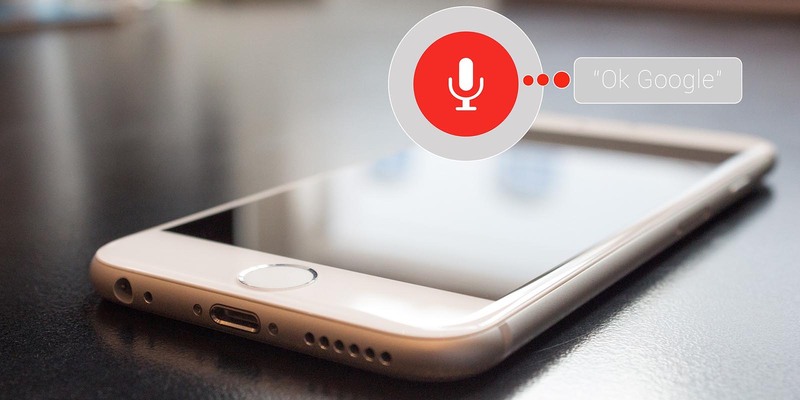 Currently, voice search accounts for 20% of all search queries conducted (according to Google CEO, Sundar Pichai) but Google has been aggressively developing voice search products, launching Google Assistant and Google Home in 2016. Amazon and other competitors are also active in the voice space – giving rise to a whole new era of search. With voice search volumes on the increase, it’s likely that the landscape of search products will adapt further to accommodate changing user behaviour. Voice search ads are in beta testing – and as a Premier Partner, Adrac is on the white list for this next generation of advertising. Because we’re already playing with this technology, our clients are already getting benefits that place them ahead of the market – this is just one more example of why working with Adrac is good for your business’ health. It’s natural to turn to search when you want to find the answer to something – this is in fact its core function. Back in 2012, Google introduced a feature called Knowledge Graph and since then, the number of search results providing answers to questions has climbed steadily. Around 40% of searches now show a direct answer. Google says that clicks on AdWords ads may fall as a result of growing question and answers, leading it to test new ad placements – such as PPC ads located within the Knowledge Graph itself to encourage users to click through. Towers says engagement is expected to be much higher here, with its hotel ads already a great example of how this might work. As Google integrates machine learning even further into its operations, it’s getting better at helping users find things before they even search for them. Google Shopping Price Drop notifications are one example of this in action already – with Google flashing up alerts on the search screen if a product a user has searched for becomes cheaper. Towers teases that this is just the tip of the iceberg, meaning we could see many more of these intelligent and intuitive search features cropping up soon. We’re already starting to see some of these features and possibilities slowly making their way into search but it’s certain that there are many more to come. Here at Adrac we’re actively planning for these changes and focusing on leveraging opportunities for our clients – knowing that the brands that stake their claim and master these new opportunities first will be the winners. Want to find out more? Contact us to discuss search marketing by Adrac.